After publishing the last post, I received a private email asking the question above, and I promised its author that I would share some thoughts on it next. Salvation is a journey of restoration that starts with re-gaining life and is completed when we return to being God's true image bearers, as was Jesus. So salvation is a journey with a beginning and an end. The beginning is being restored or resurrected to life. This life is God's life, eternal life, which God breathes into us, his Holy Spirit. It comes from knowing God, having God and Jesus revealed to us, and indwelling us. In my opinion, once we know God, we can't "un-know" him. We might disappoint him, or fail him, or even disown him (as did Peter during Jesus' lifetime on earth), but we can't subsequently say we don't know him. Therefore we cannot lose eternal life, we cannot lose the beginning of the salvation journey once it has been given to us. The end is Christ-likeness, being restored to the image of God. So if this is the end, there is no time or opportunity remaining in which to lose anything. Therefore we cannot lose Christ-likeness, we cannot lose the end of the journey after we have finally arrived there, as there is no "after". So what about the (major) part of the journey - the bit between the beginning and end? That's a weird question, isn't it? At times, we can lose our way, get side-tracked, take routes that are long and winding and dangerous; we can give up for a while, take extended siestas, etc. etc. But eventually, we will respond to the nudging and corrections of the Holy Spirit within us, repent and get back on track again. Firstly, there are so many characters in the Bible whose lives demonstrate that this happens. The prophet Samuel told Saul that he was to be replaced as King of Israel by a man after God's own heart, referring to David. And yet it was subsequent to his appointment as king that David committed adultery and arranged a cowardly murder before repenting and getting his life back on track and becoming a key person in Israel's history and in the earthly ancestry of Jesus Christ. And, secondly, the Apostle Paul guarantees we will get to the end. If God is to be the Saviour of all people, surely that includes those who start that journey while on earth, regardless of what might happen during the rest of their lifetimes here. So, can we lose our salvation? We can't lose the beginning, we can't lose the end, and God guarantees the journey in between. And to top it off, God is going to be the Saviour of all. So no-one can lose their salvation, including those who haven't begun the journey yet. Now it's my turn to ask a couple of questions. 1. What is so "especially" about the believers mentioned in 1 Timothy 4 : 10? 2. What do we lose (or miss out on) during those siestas and side-tracks? Do we have some bloggers who would like to discuss these? Salvation is a word used in evangelical Christian circles to describe an event in a person's life that saves him/her from an eternity of separation from God while being tormented in a place usually called hell. "Have you been saved?" is a question often asked of a new acquaintance when inquiring if that person has made the vital decision to be saved. In summary, in these circles, salvation is a singular decision-making moment that provides a get-out-of-jail-free card to avoid spending an eternity in hell. How Biblical is this view? We may get a clue from the event that introduced sin into the world. Clearly, the consequence of sin is death, not eternal torment in a place called hell. Indeed, I can't find anywhere in the Bible that says what evangelical preachers teach, as paraphrased above. There are some spots where that view could be read into the text, if that is your intention, but nowhere that directly says that the penalty for sin is everlasting torment in hell. Let's take a fresh look at this. Salvation has two major aspects. 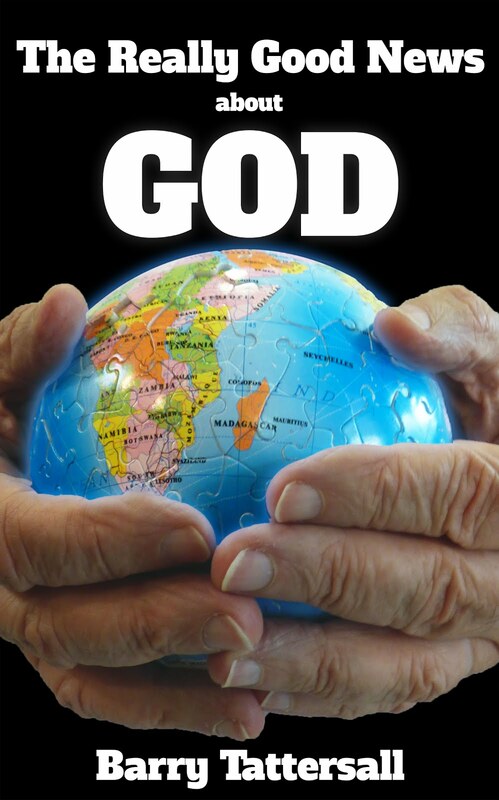 When God made mankind, he created us in his image (Genesis 1 : 27) and breathed his life into us (Genesis 2 : 7). When sin entered the picture, we lost both - his life in us (we became mortal) and his image (we no longer reflected a true image of God). So to save us from this situation, salvation needs to restore both aspects of our original making - immortality and Christ-likeness. Let me illustrate with a little "Barry story". Suppose you have a friend who dies of a serious illness. And you have the power to do absolutely anything for your friend. Suppose you choose to raise your friend to life. Your friend would be alive, but still seriously ill, and so would die again. Suppose this time you choose to heal your dead friend. What would be the result this time? Your friend would be well, but still dead. You’d have a healthy dead person on your hands. Clearly the best choice would be to heal your friend and bring your friend back to life. Only then would you have a living, healthy friend again - only then would you have saved your friend. Two things need to be done for your friend, not one. We too are dead and have a serious illness. We need to be brought back to life (re-gain immortality) and be healed of our disease (have the image of God re-formed in us). And this is definitely not a one-moment event of accepting a get-out-of-jail-free card. I usually describe the position I promote as Christian Universalism (CU) or Universal Restoration (UR). But sometimes I am careless in casual conversations by agreeing/conceding that I'm a universalist (without the "Christian" or "Restoration" bit). I am finally learning to be more careful with the terms I use. By using or allowing the wrong ones, I leave myself open to criticisms that are not applicable to the correct position that I believe the Scriptures teach. I do not believe in universalism, as the word is generally used. Universalism most often describes the position that all will be saved, regardless of the work of Jesus - in other words, all roads lead to heaven. This is not what the Bible teaches. Equally, I do not believe in inclusivism, as the word is generally used. Inclusivism usually describes the position that all are saved now as the result of the death and resurrection of Jesus - and all have the Holy Spirit indwelling them right now. This is not what the Bible teaches either. I definitely believe that all are forgiven now through what Jesus has done and will come to know the Father eventually - all will be included eventually, but not yet. Clearly, I need to be using the word "eventually" constantly to keep distinguishing CU or UR from inclusivism in my conversations, preaching and writing. but most of us have not walked through that door ... yet. By definition, inclusivism is the opposite of what is true - exclusivism. Access to eternity in fellowship with God (and each other) is exclusively available through a relationship with Jesus. And this is still to come for most. For those who are not believers by the time they leave the planet, knowledge, faith, repentance and worship will come some time later, more than likely at the Great White Throne. So this probably raises the question, "What is salvation?" I will tackle that in the next post.